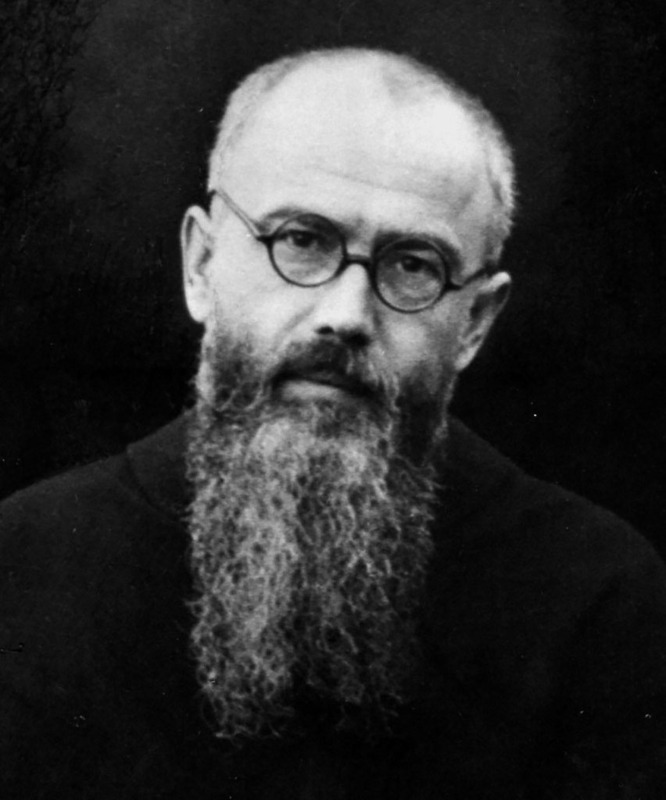 St. Maximilian Kolbe, late 1930’s, with beard from which hairs were preserved to create his relics. The year 2016 marks the 75th anniversary of the martyrdom of St. Maximilian Kolbe, a Franciscan Friar Conventual, who died in the World War II concentration camp in Auschwitz, Poland. 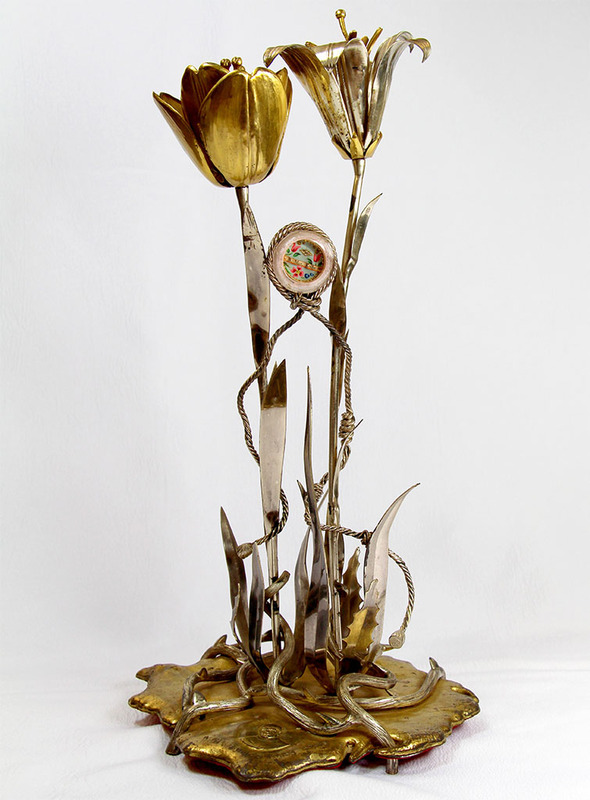 To commemorate this historic anniversary, the Franciscan Friars Conventual of the Our Lady of the Angels Province, in concert with the International Council of the Militia of the Immaculate (MI), other Kolbean institutes, and Franciscans worldwide, are pleased to sponsor a pilgrimage of St. Maximilian’s relics. The largest tour ever mounted of his relics, this pilgrimage of St. Maximilian’s relics will start in January at the Shrine of St. Anthony in Ellicott City, Maryland and visit 38 sites along the east coast and Canada. The pilgrimage will conclude with a closing ceremony at the Shrine of St. Anthony on August 14, St. Maximilian’s feast day. Crafted from bronze and silver and presenting different symbols from his life, the beautiful reliquary houses strands from Maximilian’s beard. Describing the value of relics to contemporary believers, the Very Reverend Fr. James McCurry, OFM Conv., Minister Provincial of the Our Lady of the Angels Province, says, “Relics remind us that saints were real human beings with hair, skin, bones and blood. We venerate relics to connect with the real person behind them – now proclaimed by the Church to be in Heaven, from where he or she remains interested and involved in our lives.” Each visit will include a liturgy, opportunities for veneration, and materials for further study and prayer, including a unique relic card to commemorate this historic anniversary. St. Maximilian was born Raymond Kolbe in Poland, January 8, 1894. As a young man Kolbe entered the Franciscan Friars Conventual where he founded the Militia Immaculatae (Knights of the Immaculate), a movement whose members are committed to transforming themselves and society through the message of Jesus Christ, especially by identifying with Mary, the Immaculate. This beautiful reliquary of St. Maximilian Kolbe is under the care of the Our Lady of the Angels Province, Franciscan Friars Conventual. In the 1920’s and 1930’s he established a “City of the Immaculata,” Niepokalanow, outside Warsaw, and another in Nagasaki, Japan. Niepokalanow published countless religious tracts, a daily newspaper with a circulation of 230,000, and a monthly magazine with a circulation of over one million. Fr. Kolbe started a radio station and planned to build a motion picture studio. In 1939, Nazi soldiers stormed Niepokalanow and arrested Fr. Kolbe and 50 others, only to release them shortly thereafter. In 1941, however, Fr. Kolbe was arrested by the Gestapo and transferred to Auschwitz. At the end of July 1941, as an example and punishment to his cell block after one escaped, 10 men were randomly selected to die. Fr. Kolbe was not chosen, but volunteered to take the place of a man who had a wife and two children. Still alive after two weeks of starvation, Fr. Kolbe was injected with a lethal dose of phenol on August 14, 1941.